Adventure, Austin, Brisbane, Canon 1100D, Inspiration, Los Angeles, Memphis, New Orleans, New York, People, Photo Essay, Photography, Street Photography, Washington D.C. While I was on my travels I took an enormous number of photos. I have been back for a couple of weeks, but life got in the way a bit and I am only just getting on to organising my photos into themed photo essays for this blog. I am starting with a theme I’m calling ordinary people. 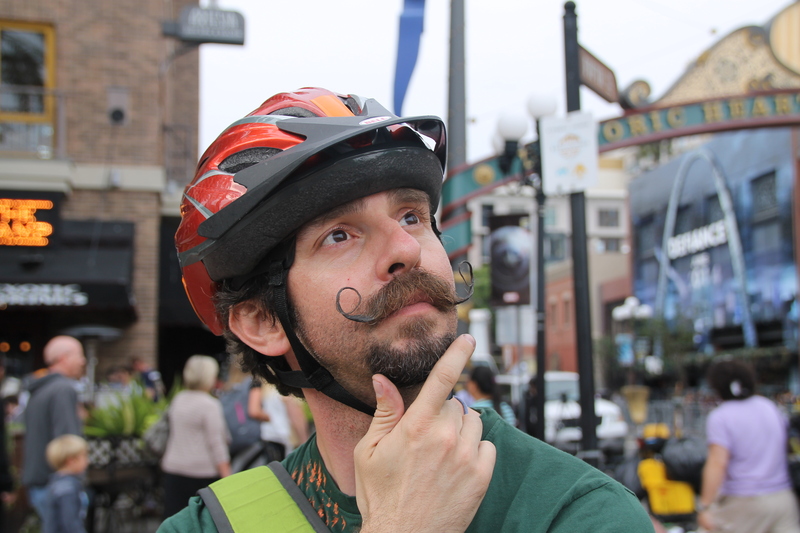 This is a selection of (largely) unposed photos I took of people I encountered in the US on my four week adventure. This couple is actually in Brisbane, I took this while on Southbank during the 12 hour delay on the way into New York. This is in Manhattan, in a park I don’t remember the name of, just about sunset. To the right of the shot there are basketball courts and other community sporting grounds, to the left of the shot is a cycling/walking track and a stretch of park. I like to think this guy was doing homework, or writing something, and that he was out in the beautiful summer evening because his apartment was too tiny, or too noisy, or too full. 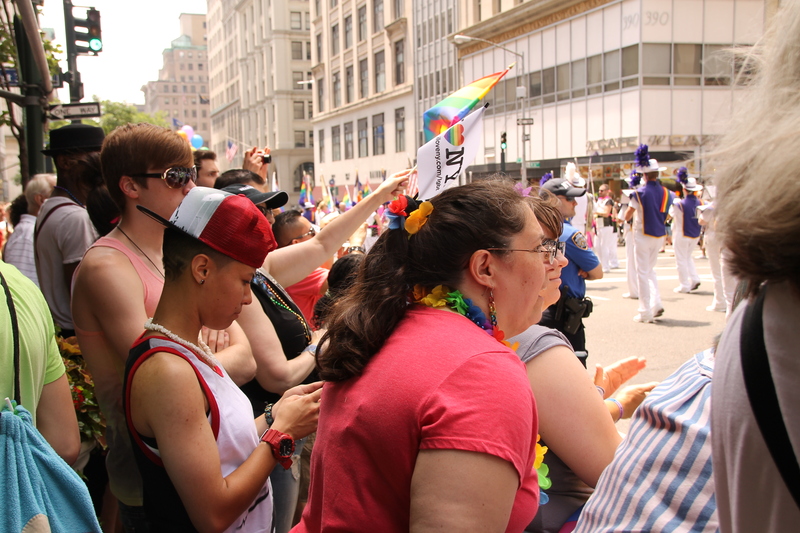 These people were watching the LGBTIQ Pride Parade as it wound it’s way through Manhattan. The parade was awesome but I liked that you could be standing next to almost anyone on the crowd. We were all there for the same reason, all baking in the sun, watching the spectacle go past. 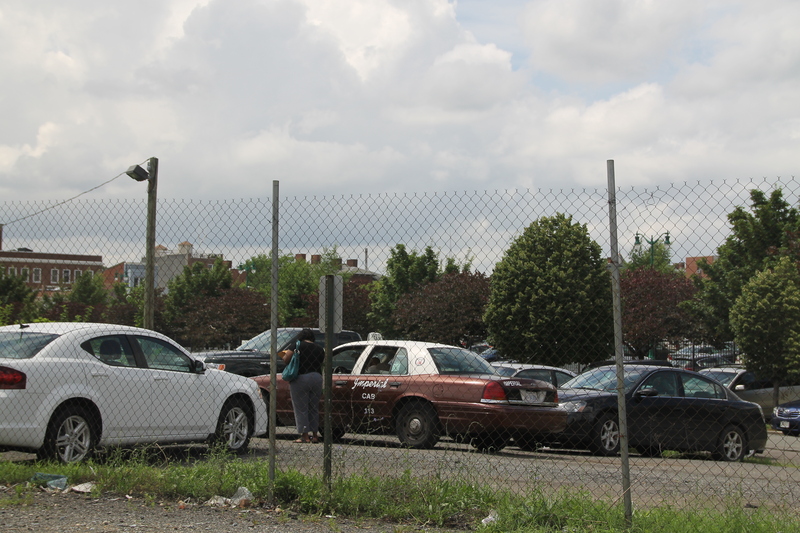 This woman was getting out of her taxi as we drove into Washington D.C. Something about the poverty of the area and the normality of the action inspired me to grab this shot from the car. 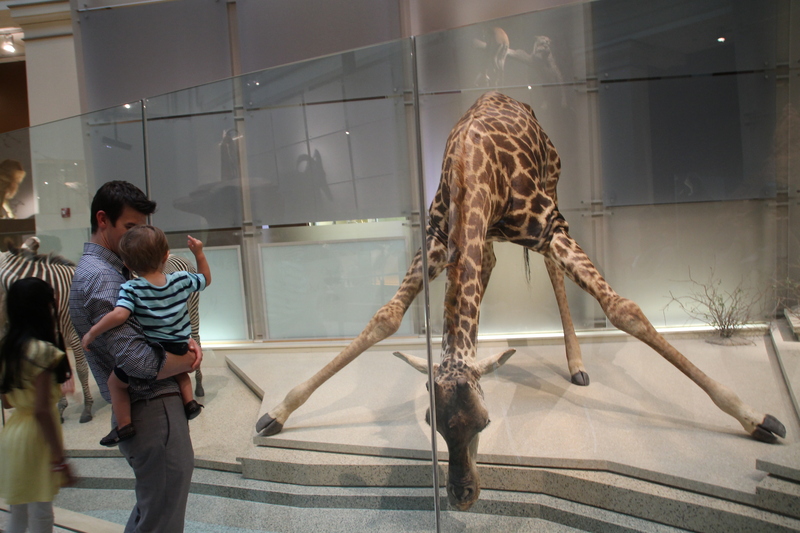 This man and his son were inside the Smithsonian Natural history museum in Washington D.C. He was so good with this kid, so patient and enthusiastic, and the child was having such an awesome time. They made me smile. <This guy. What can I say about him? 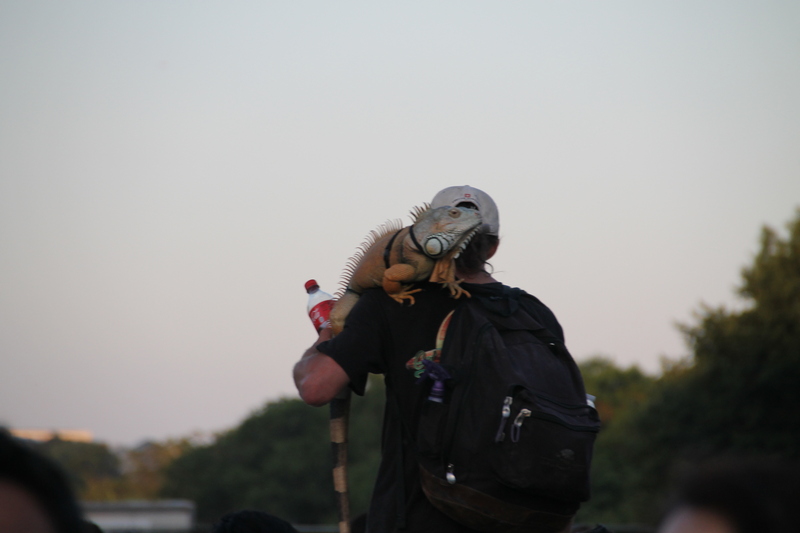 He brought his massive iguanato watch the 4th of July fireworks display in the Mall in Washington D.C. I was not the only person to get a photo of these two. This little girl is gorgeous. 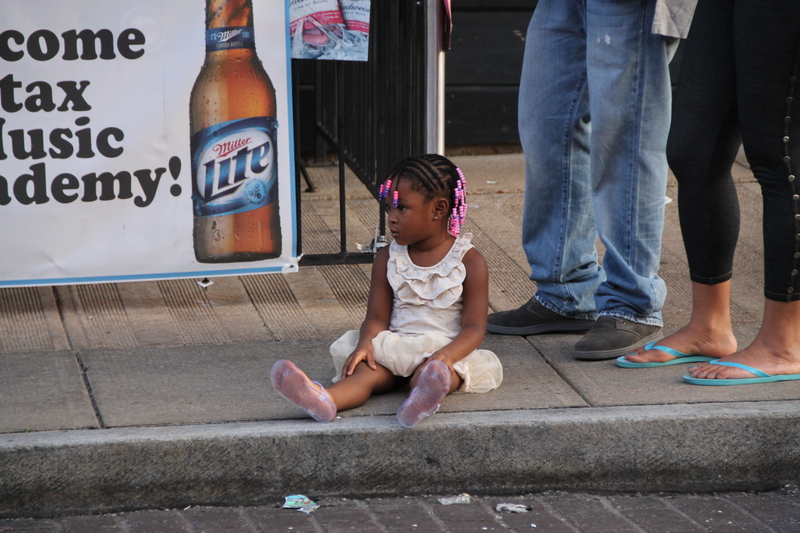 She was sitting in Beale St, Memphis, with her family watching some street performers doing an acrobatics display. I suspect some of the boys performing were her brothers or cousins, but she may have just been hanging out. The Latin Quarter of New Orleans: I would love to go back there and spend some more time. We were standing in the street after having a meal when a woman and her dog (this little guy) came past. She seemed so poor and desperate, and her dog seemed so afraid and hungry. She stopped to chat with us for a bit, bummed a cigarette from one of us, and then went on her way. 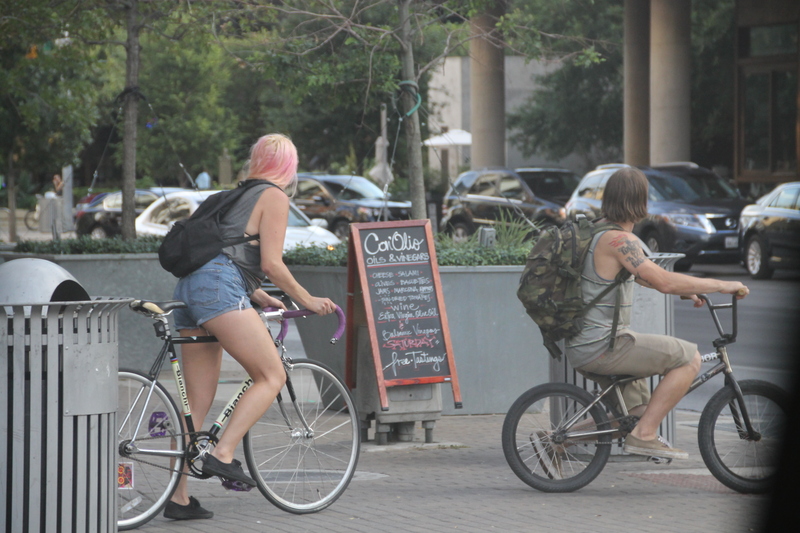 In Austin, there seemed to be a lot of cool people on bicycles, but the helmet laws are different. 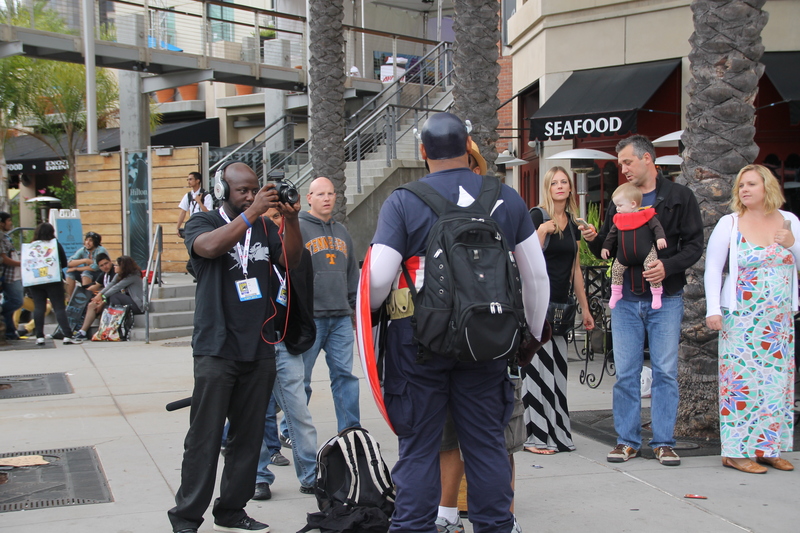 We arrived in San Diego on the final day of Comic Con, just in time to catch a few cosplayers heading back from the convention centre and to see these guys filming some sort of review or wrap up. Another Comic Conner, this is the only posed one of the group, he had such an excellent moustache I asked him for a photo. Clearly he was all too happy to oblige. 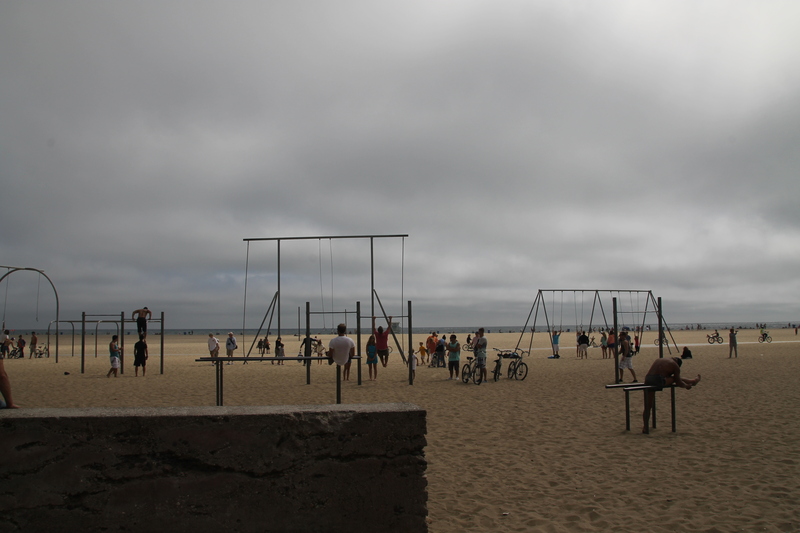 People working out at Muscle Beach in Los Angeles. In the bottom right of the shot you can see a guy stretching. He looked like he’d been coming there for years, he would have been about 60, he had skin like leather from too much sun, and just before I could get the camera out he’d been doing handstands on those bars. It was very impressive.